Hello all! I am starting a new feature that I will do once a month or so. I will be giving small history lessons on some of the best tracks in the country. Some will still be in use and some won’t, just going to cover the best of the best across the map. Today I will talk a bit about Chicagoland Speedway. I won’t get too in depth, as this could take all day, but I will cover some highlights. If you ever want to see a certain track featured just let me know! 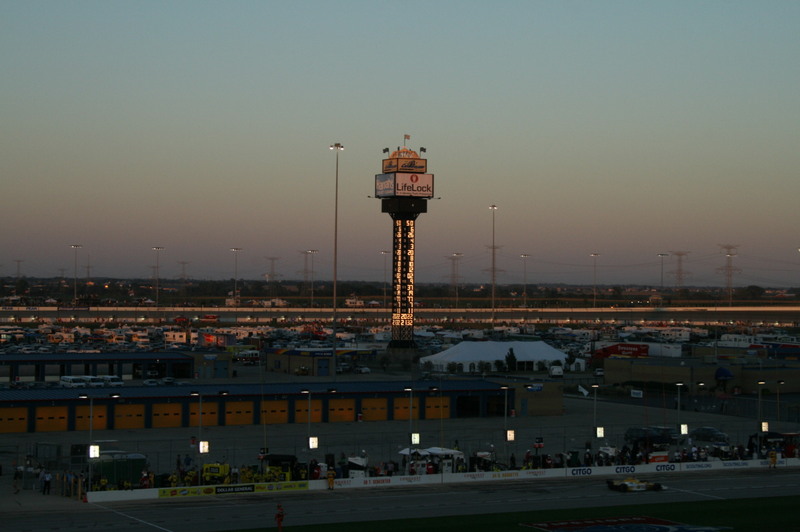 Chicagoland Speedway, located in Joliet, IL, has been the host of multiple series including Indycar and Nascar. Indycar no loner travels to Chicago, but the track still hold some amazing records for Indy racing. 4 of the top 10 closest finishes in Indy history have been recorded at Chicagoland, including the closest in history at just .0024. Chicagoland is a 1.5 mile tri-oval with 18 degree banking in the corners that is owned by International Speedway Corporation. It opened in July of 2001 making it quite young, but with outstanding results. Currently the track hosts Nascar and the TORC series. Indycar has not raced at the speedway since 2010, but I would love to see it brought back to the schedule. Chicagoland has been the home of some pretty bad crashes also. As with most oval tracks the crashes have been rather spectacular. Ryan Briscoe had one of the worst in the tracks short history, it happened in 2005. Luckily he was able to recover fully and come back to Indycar racing. One of the best tracks to watch a race from as it always produced close finishes for IndyCar. I wish VICS would go back there but until the business model changes, it will only happen when hell freezes over.